Having been an athlete all his life, Master D played football, baseball, ran track and field, and wrestled before discovering martial arts. The combined physical and mental discipline of the martial arts appealed to him and soon this hobby became a passion. Master D began his training in the late 1970’s, in a little dojo in Ohio. He spent almost 8 years there studying Japanese Kenpo Karate and Jiu-Jitsu, eventually earning a 2nd degree black belt. The foundation that was set in him in those early years of discipline, courtesy, and respect, became more a part of his life than something he practiced at the dojo. After graduating college, he moved to New York to pursue a career as an actor. Researching numerous schools in Manhattan, he was surprised to find that his training was far more specific and detailed than what others were teaching. He searched for a place to train in a similar style to what he was accustomed. Going from school to school for years, he studied wherever he could find an instructor that was teaching quality techniques, from traditional Shotokan Karate, to mixed martial arts, the style didn’t matter as much as the instruction. In the life of every actor comes the move to California, and the move proved to be not only great for Master D’s acting career, but a turning point in his martial arts life as well. It was then that he met Grand Master Tong Suk Chun, and began learning the techniques of Taekwondo that would change his life. For years, he trained and practiced, trying to gain every bit of knowledge that he could from Master Chun. He practiced with Master Chun until the responsibilities of running the World Sports and Cultural Foundation took him away from teaching. Master D was sent to Orange County to learn from Master Spillmann and his affiliation with ATC began. A great benefit of his 10 years at ATC, was the opportunity to train with and learn from Grand Master Suk Jun Kim, a direct disciple of General Choi Hong Hi, Taekwon-do’s founder. With individual guidance and teaching from Master Kim, Master D was able to train at a very high level in the original traditional techniques of Taekwon-do as passed down from the creator. Under the tutelage of Master Kim and his Masters, Master D was able to learn not only how to practice the art but also how to teach it most effectively. Master D is certified as a 6th Dan Master in the original traditional style of Taekwon-do, as well as 4th Dan Master in Olympic sport Taekwondo. This uniquely qualifies him to teach to a very wide range of students, from the young Olympic hopeful, to the more mature practitioner. Master D considers Aliso Hills Taekwon-do to be a place of learning, and his method of instruction emphasizes the traditional values of discipline, practice, hard work and focus. He strives to teach each class himself for continuity and accuracy. Promotions are based on a student’s individual progress and not an arbitrary timeline. His goal is to help each student reach their full potential and therefore, he expects his students to learn and practice with diligence and sincerity. Master D continues his training with his teachers with the goal of continually improving his mind and body. Aliso Hills Taekwon-do is a proud member of Taekwon-do International. 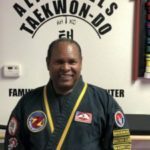 Over 40 years of experience and is a member in good standing of: World Hapkido Federation, Korean Hapkido Federation AmericanHapkido Federation, American Taekwondo Association, World Taekwondo Federation.